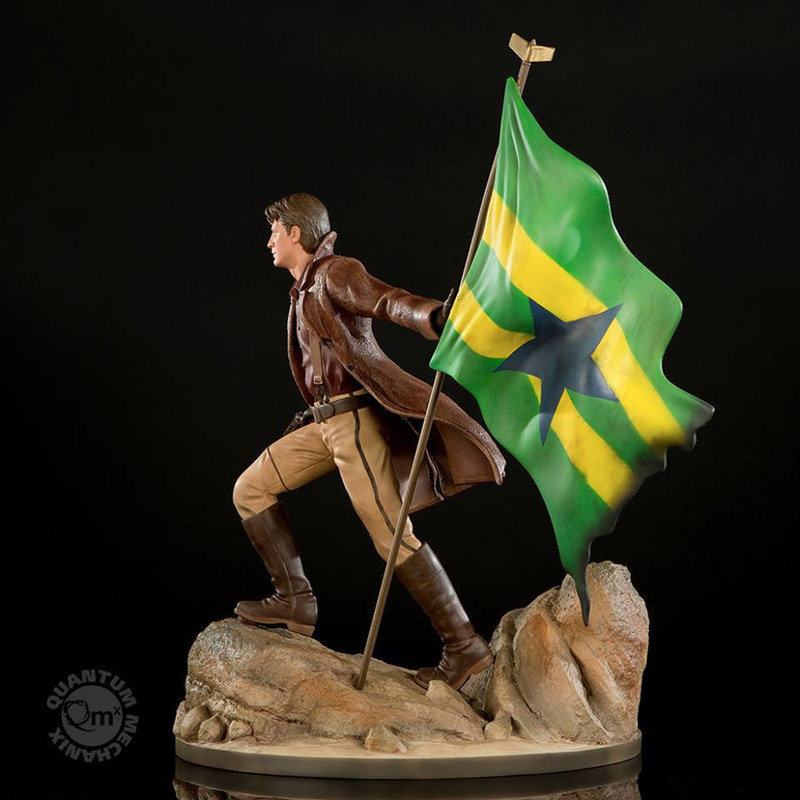 Quantum Mechanix Inc. (QMx), a creative studio and developer of specialty movie collectibles, has a new Firefly collectible, this time depicting Captain Mal Reynolds back when he was a Sergeant during the Battle of Serenity Valley. 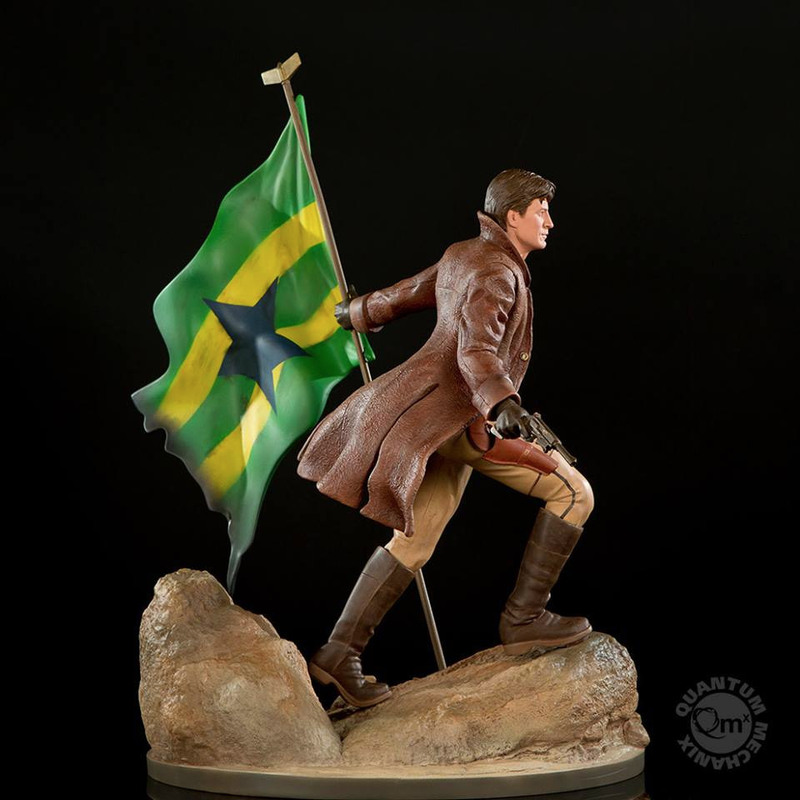 This 1:6 scale statue show’s Mal’s seminal moment, with his trademark Moses Brothers sidearm and wearing his brown suede duster, waving the flag of the Independents. 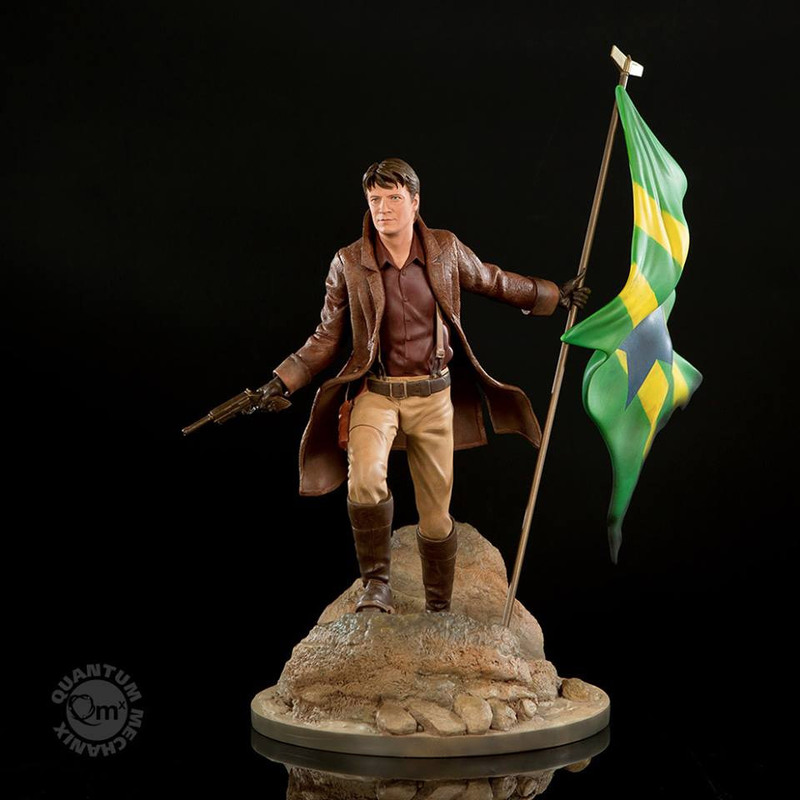 Of course, Mal’s face is a detailed model of actor Nathan Fillion’s portrayal from the Firefly series, accurate down to his blue eyes. The 1:6 scale statue measures 17″ tall and weighs more than six pounds. Cast in solid polystone, each statue is hand painted and comes with a certificate of authenticity. 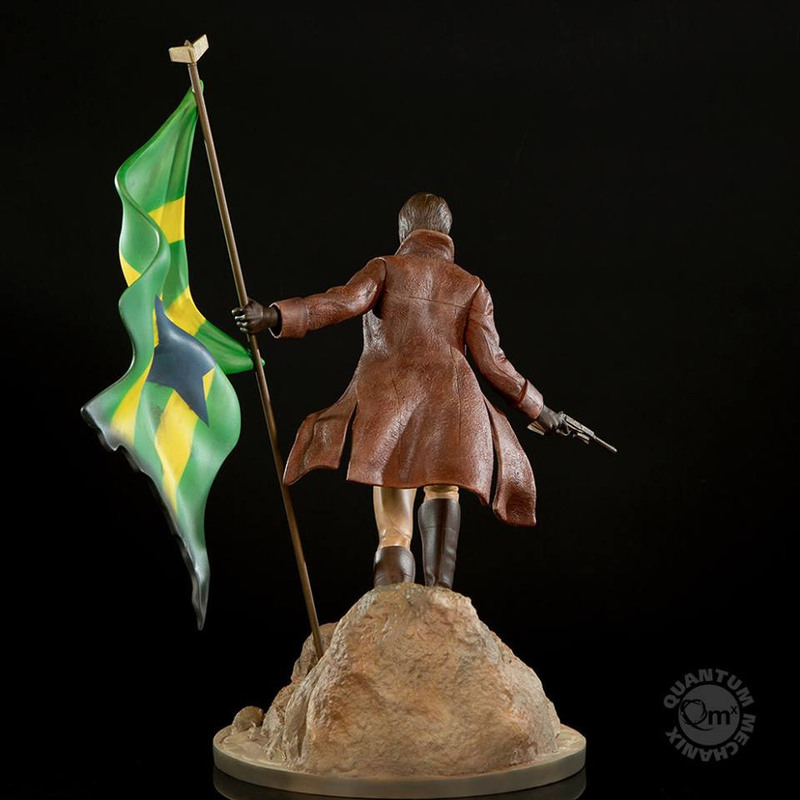 It will be made in a limited edition of 1,000 pieces.